Aerobus was established in 2007. In 2009, the company ran a fleet of 20 express buses and over 80 staff, with 42 trips daily to and from KL Sentral and LCCT. Today, the company has the largest bus network to and from KLIA/KLIA2. Customers’ safety and comfort are the utmost priorities to Aerobus. 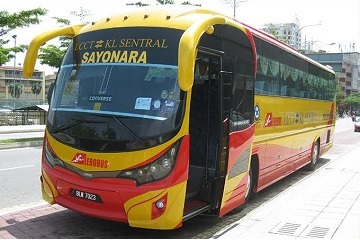 In order to maintain high safety standards to their bus and passengers, all of their buses comply with SPAD Malaysia Public Transport Commission regulations, and undergo regular maintenances and inspections. In addition, every driver attends mandatory road safety training to ensure every passenger reaches their destination safely. Comfort is taken very seriously by the company. 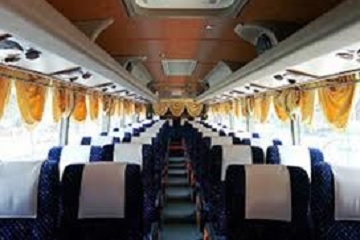 In their bus fleet, all their buses have spacious interior and comfortable seats. Televisions are installed on their buses to help passengers kill their boredom and making every bus trip a pleasant one. The buses offered by the company are mainly 44 seaters’ single deck buses. Aerobus is offering bus routes from Aeon Bukit Tinggi, Genting Highlands (Awana Bus Terminal) and Paradigm mall to KLIA/KLIA2. Furthermore, they are also offering bus routes from KLIA/KLIA2 to Aeon Bukit Tinggi, Genting Highlands (Awana Bus Terminal) and Paradigm mall. They also provide bus routes departing from Jalan Pekeliling to Genting Highlands (Awana Bus Terminal) and its return route. Book Aerobus bus tickets now at Easybook.com.